"A family friendly fitness facility that offers karate and fitness (cardio kickboxing) training by Karate World Champion Instructors." Guelphite Qualifies for Team Ontario! Nathan Skoufis, has qualified for the National Championships in late May held in Ottawa and Quebec City. The Ontario Provincial Qualifiers drew top competitors throughout the province in an attempt to qualify for the national championships to earn their spot on Team Canada. The event drew competitors in Tae Kwon Do, Karate, Boxing and Kickboxing. Skoufis said “This past weekend was amazing. I am very excited to be a part of the Ontario team and I am looking forward to the national championships later this year. I want to thank everyone throughout the area for your ongoing support - I look forward to this journey and representing my community”. Nathan Skoufis, 24 is the owner and head instructor of Guelph Family Martial Arts. 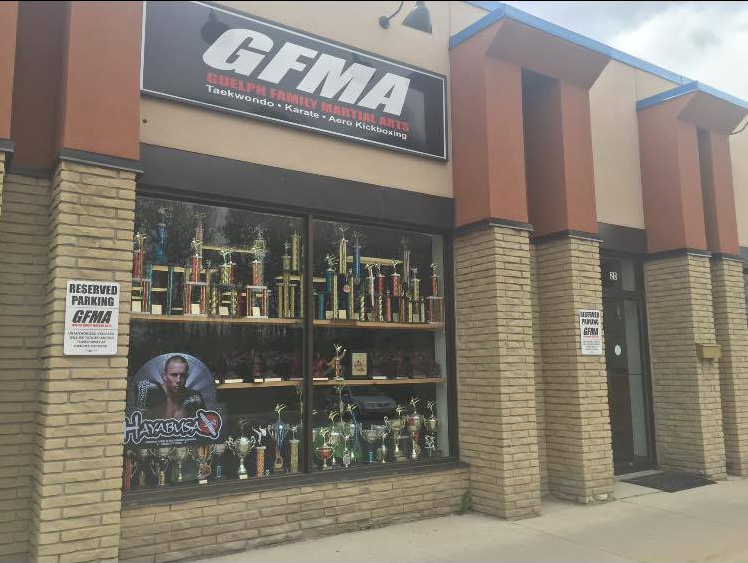 Guelph Family Martial Arts (GFMA) is a family friendly fitness facility that offers karate and fitness (cardio kickboxing) training by Karate World Champion Instructors. Our classes are for everyone and every level of physical fitness, so you and your family can be sure you will feel comfortable in our program. Kids programs start as young as age 3 and provide a fantastic base for your child's overall development.